Four radio stations will broadcast to the peninsula. The assembly of a 150-metre high tower which will broadcast on FM frequencies to Russia-annexed Crimea was completed in southern Kherson Region on 25 January, the press service of the Information Policy Ministry has said. 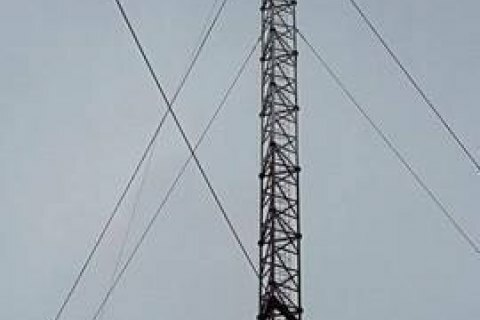 When equipment is mounted on the tower, the signal of four Ukrainian radio stations (First Channel of Ukrainian Radio, Meydan, Krym.Realii and Kherson FM) will become accessible in Crimea. At the next stage, Ukraine is planning to organize digital TV broadcasting. The tower was installed within the framework of the implementation of the Strategy for the Development of TV and Radio Broadcasting in Kherson Region and Crimea in 2016-17.